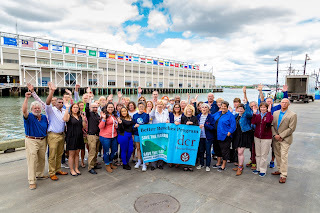 In June, Save the Harbor/Save the Bay awarded more than $55,000 in Better Beaches Program Grants to support more than 40 free beach events and activities on the Boston Harbor region’s public beaches this summer. This year’s grant recipients include 27 organizations in 9 waterfront neighborhood neighborhoods and beachfront communities from Nahant to Nantasket, including groups from Lynn, Nahant, Revere, Winthrop, East Boston, South Boston, Dorchester, Quincy and Hull. 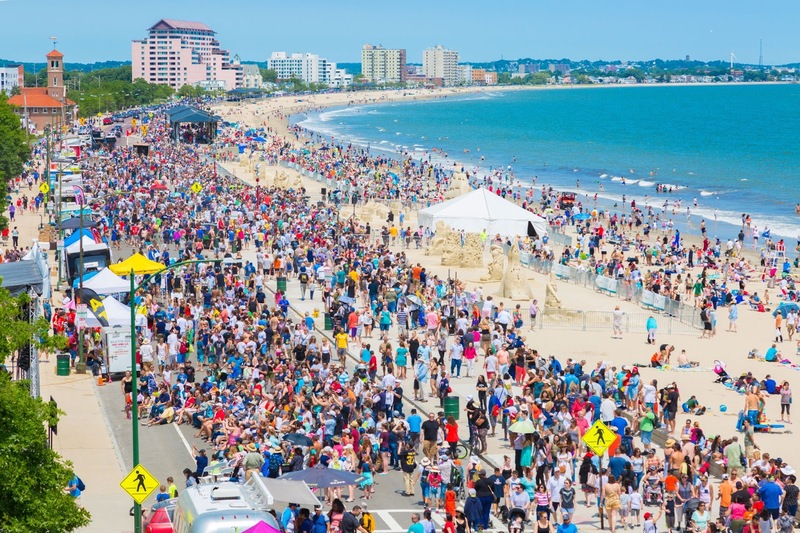 This year’s Better Beaches Program Grants will fund concerts and sand sculpting competitions, beach festivals, movie nights, free kayak lessons and aquatics instruction, Art on the Shore and Storytelling by the Sea on public beaches from Nahant to Nantasket. Here's a list of this year's events. We hope to see you on the beach! Friends of Lynn and Nahant Beach: Summer Concert Series every Thursday evening 6:00-8:00pm & Kids Day Festival on 7/29 at Red Rock Park on Lynn Shore Drive from 11:00am to 3:00pm. Friends of Heritage State Park: World Music Festival on 9/16 from 1:00-6:30 at Lynn Heritage State Waterfront Park. 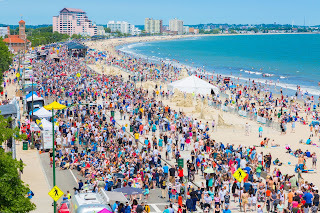 Revere Beach Partnership: Revere Beach Partnership Festival Series including the annual International Sandsculpting Festival on 7/21-7/23, the Revere Beach Art Festival on 9/16, and the Great Pumpkin Dash and Fall Festival on 10/15 at Revere Beach! Friends of Belle Isle Marsh: Friends of Belle Isle Marsh Summer Series including the Harvest Festival on 10/1, Canoe Day, Beach Explorations, and more! Friends of Winthrop Beach: Friends of Winthrop Beach Summer Series including the US Navy Pops Concert at Ingleside Park at 7:00pm on 9/16, free stand up paddleboard lessons, Movie Night on Winthrop Beach to watch Pirates of Caribbean on 8/19 at 8:00pm, the Five Sisters Swim and more! BCYF Curley Community Center: Curley Community Center Summer Series including the Annual L Street Night on 8/23, Beauties and the Beach, Curley Fishing Program, Teen Get Together, Girls Event and more! Mass Kiting: 3rd Annual International Kiteboarding Film Festival on Pleasure Beach on 8/22 at 8:00pm. South Boston Neighborhood House: Family Fun Nights on the Beach at Carson Beach, and a special Family Fun Night including fire juggling clowns from the Boston Circus Guild on 8/3 and OlliePalooza on 7/27 at Moakley Park! Friends of Savin Hill Shores: Dorchester Beach Festival on August 26th at Malibu Beach. Port Norfolk Civic Association Dorchester: 3rd Annual Tenean Beach Day featuring a special performance from the Boston Circus Guild. Mattapan Food and Fitness Coalition, Neponset River Watershed Association, Partnering with the Cedar Grove Civic Association: 7th Annual Mattapan on Wheels: Mattapan Takes on the Neponset Trail on 7/22. Discover Quincy/Friends of Wollaston Beach: 50 Days of FREE-dom including Wolly Beach Wednesday Concert Series, Tot Lot Tuesdays, and Book and Boogie at the Tot Lot on 7/20. Quincycles: Ride the Beaches of Quincy on 6/12. Hull Lifesaving Museum: Hull Lifesaving Museum Harbor Illumination & Festival on 7/29 at the Hull Shoreline and L Street Playing Fields from 3:00-10:00pm. Hull Nantasket Chamber of Commerce: 13th Annual Endless Summer Waterfront Festival on 9/16 at Nantasket Beach. Friends of Paragon Carousel: Friday Morning Story Time every Friday at the Carousel at 10:30am. Rhythym Room Records: Aquapalooza on 7/15 on Peddocks Island, and SoundWaves at Spectacle Island on 7/29. Pokemon Festival: Pokemon Go on the Beach. To get more information on any of these events, please contact Better Beaches Program Coordinator Maddie Clair at clair@savetheharbor.org. Thanks to Metropolitan Beaches Commission Co-Chairs Senator Tom McGee and Representative RoseLee Vincent and the legislative and community members of the Commission for making this great program possible. Thanks also to the Department of Conservation and Recreation and our foundation funding partners, The Boston Foundation, the Richard Saltonstall Charitable Foundation, and the Harold Whitworth Pierce Charitable Trust for their support.